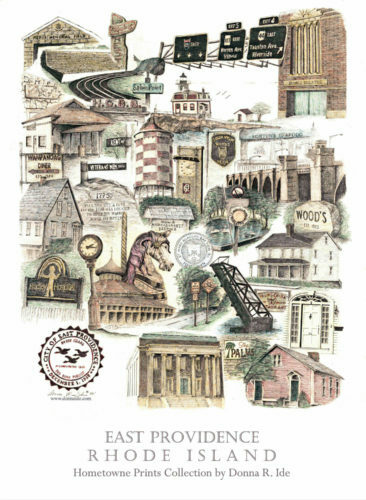 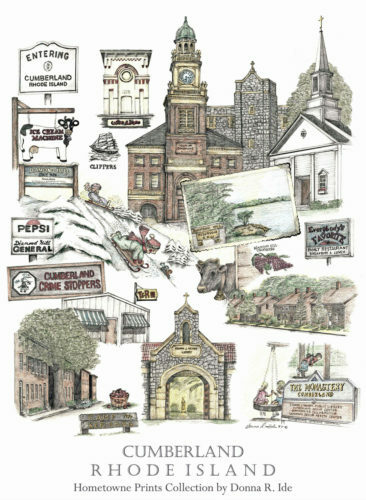 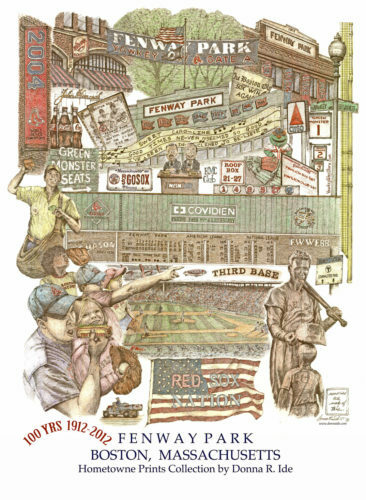 ‘Come home again’ with Hometowne Prints special collection of artwork illustrating cities and towns throughout Rhode Island and Southeastern Massachusetts. 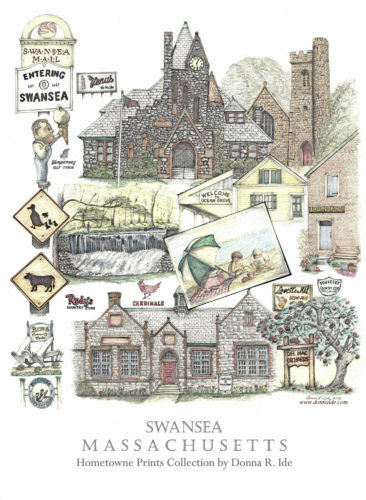 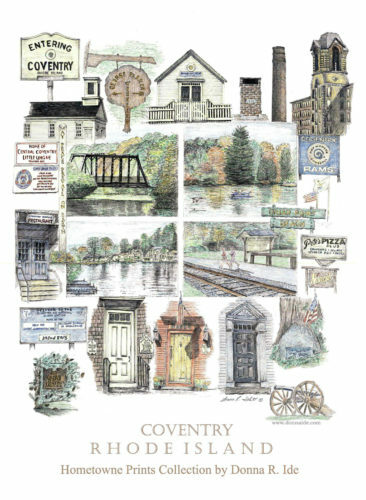 Local artist Donna Ide has captured that hometown feeling with her collection of prints illustrating your favorite spots, historic places, and familiar parks and beaches. 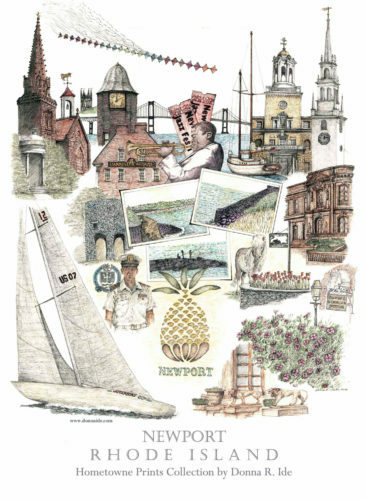 Whether it is the local eating establishment where steamers abound and lobster a must or the carousel you rode as a child or even the lighthouses that are so familiar to New England, each has its own fond memory in our past, present and future. 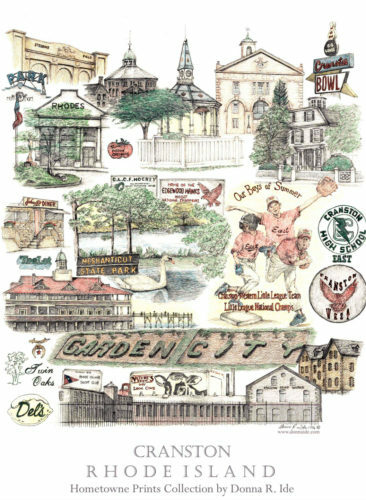 Ide’s media is pencil and color pencil done in montage form. 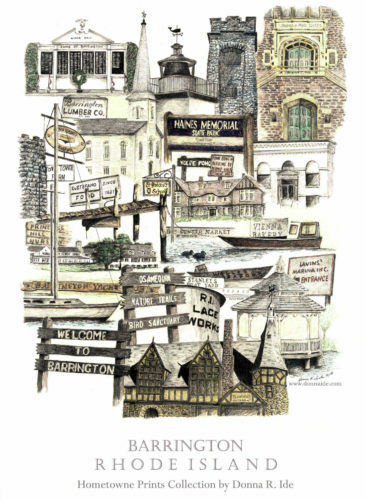 Browse, now, our whole collection of Hometowne Prints and remember to return, often, to view the latest addition as this is a work in progress which continues to expand and increase illustrating more and more cities and towns throughout New England.